SO – IL and Laisné Roussel architects have won the international competition for the Place Mazas site in Paris with the project titled L’Atelier de l’Arsenal. 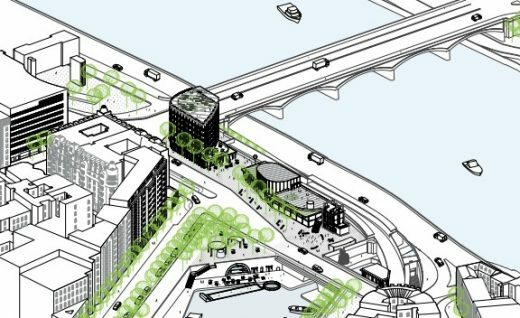 The architecture competition was organized by the city of Paris as part of Reinventer La Seine, a call for innovative proposals at the intersection of architecture, creative urbanism, and development on sites along the river. Place Mazas is an important area for Paris, located at the end of the Bastille Axis and at the junction of the Canal Saint Martin and the Seine River. 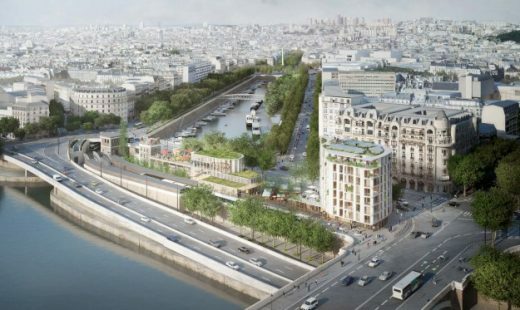 It’s also a nexus of future urban development, including the upcoming waterfront park, parc Rives de Seine. 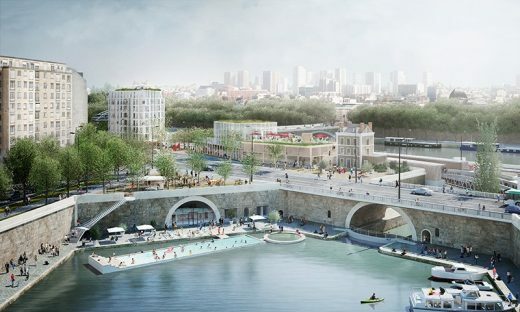 Considering this unique location, the design proposal integrates the site into the historical fabric of Paris while presenting a new, flexible urban strategy, creating the potential for further civic transformation. 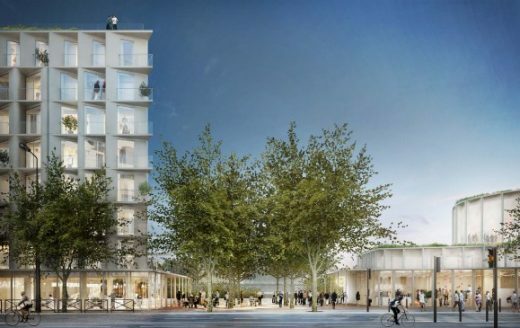 The proposal features three new public spaces; a seven-story wood structure with co-living and social housing units; and a building that will accommodate public facilities including co-working spaces, a fabrication lab, and a multi-purpose room for cultural activities. An exterior terrace will offer ample views to the river and the Parisian cityscape. The design also incorporates Aurore, a homeless facility already established on site . It hosts space for the Yacht Club of Bastille as well as new waterfront activities, like a public swimming pool and pools for biodiversity research and water quality monitoring. 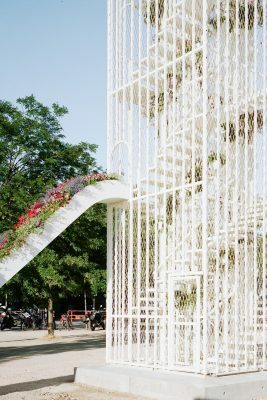 L’Atelier de l’Arsenal integrates into the urban landscape and gives the public a new access to the site. It is a collaborative effort between architects, developers, program consultants, and residents that is built on community. to provide a quality living environment and ensure the well-being of future residents. neighborhoods that respond to the challenges of new urban uses.